Just about everyone is dieting or trying to lose weight these days, or so it seems. It’s all too easy for people to get sucked into a pattern of wearing fitness-tracking gadgets—plugging meals and exercises into their phone—and talking nonstop about the foods they can and cannot eat. It’s a slippery slope and one skim latte away from obsessing over where all the fat can be found on their body. We are starting to learn the effects of all this “fat talk”—how it disrupts people’s body image and leads them to question their own healthy lifestyle choices. The Huffington Post reported that the term ”fat talk“ was coined by researchers in 1994 after observing the way middle-school girls talked about their bodies. The girls were self-abasing and apologetic. There have been many studies done on how destructive this negative body talk can be for women. One study mentioned in the Huffington Post article found that an overwhelming majority of women—93 percent to be exact—reported engaging in fat talk. But it’s not just women who engage is this negative self-talk; men do it too, and often suffer from the same distorted body image view as women. All this talk can be quite frustrating to those who choose to lose weight in a non-diet method as well as to those who are happy with their current body size, eating, or exercise habits. The New England College Health Association summarized research on this type of talk, saying the main reason people engage in “fat talk” is to “fit in and gain affirmation.” Women and men both use this form of evaluating their figures as a way to form bonds and create a sense of community by sharing their “personal struggles” with one another. Does the following scenario sound familiar: You come into the office on Monday morning and overhear office workers talking about how bad they ate over the weekend, and promising to start fresh that day? Or everyone in your office may be on similar diets and candidly share tips and tricks for success? The response “You are not fat, just look at me” to the statement “I am fat” is a method of negation used by people to get affirmation from their peers—contributing to their overall sense of fitting in. Besides the impact this kind of talk has on one’s perception of their body image, “fat talk” is a risk factor for eating disorders and doesn’t seem to motivate anyone to make positive lifestyle changes. Personally, I cannot think of one good, productive thing that comes from this way of thinking. Fat talk is a recipe for disappointment and isn’t a constructive method for making positive changes. Keep yourself focused on feeling well and nourishing the body you have been given. You’ll feel a lot better and might end up reaching the goals you’ve been striving for all along. Are you fed up by “fat talk” too? Here are some ways you can help yourself, or others, stop. – Make yourself aware of how much you participate in conversations regarding diet, body image, and exercise. When you catch yourself participating in a conversation centered about diet and fat talk, consider how it makes you feel about your own lifestyle choices and whether or not it increases your anxiety and stress levels. Do you feel it is helping you make positive choices? Do you feel it contributes to a healthy body image perception, or does it make you feel less secure? – When people point out what’s “wrong” with something you are eating, politely tell them that you would like to enjoy the meal you chose. Then change the subject. – Stop the pattern of talking about diet and body size in front of your children. All it does is reinforce current misaligned cultural messages. Instead, teach your kids that what matters most is who a person is—not what they look like. Anne Wilfong holds bachelor’s degrees in both nutrition and business from the University of Texas at Austin. 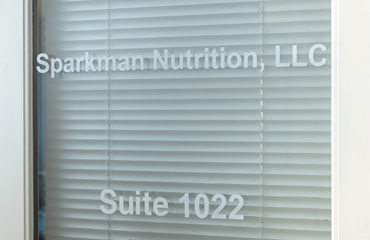 As a Registered Dietitian Nutritionist, she works closely with clients to encourage personal behavior modification to achieve their goals. Anne is particularly interested in oncology nutrition and works with patients to improve their overall nutrition status and manage side effects associated with cancer treatment. She enjoys working with groups and offers several wellness seminars to small and large corporations. As a participant in local races, Anne recognizes the importance of nutrition in athletic achievement and can help you develop the right nutrition plan for your performance. You can find Anne’s recipes, videos and articles published in Austin Fit Magazine.